Explore, enjoy and protect the planet! 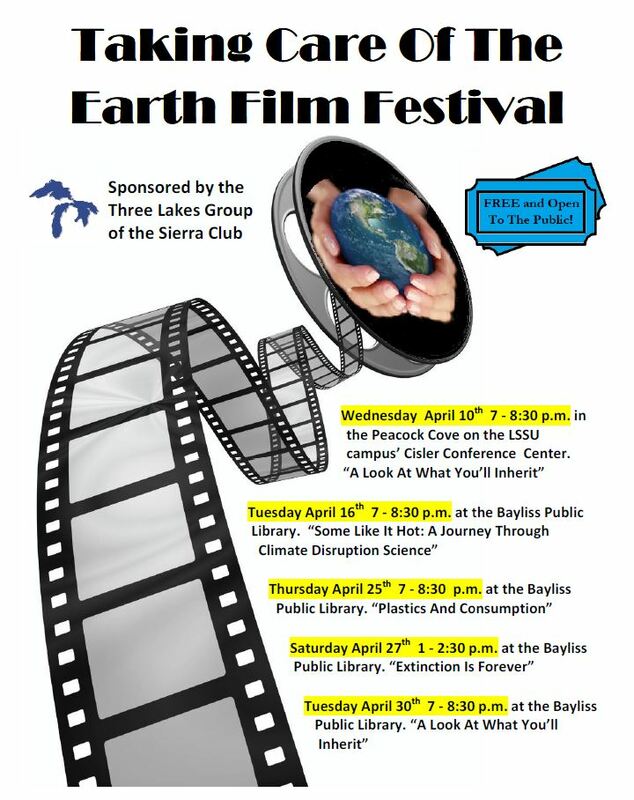 A series of short films on various enviromental topics over 5 days revolving around Earth Day. For the informational flier click here. Thursday, December 13th in Crawford Hall Room 207 on LSSU's Campus starting at 6:30 p.m. 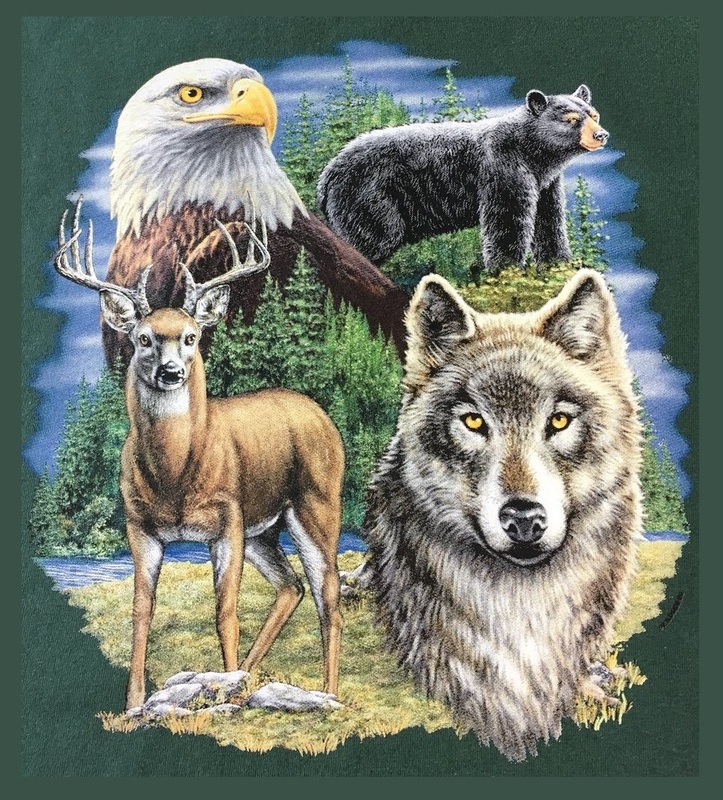 The eastern UP supports a number of larger animals like deer, black bear and wolves. What is there status? How are they monitored and managed? This presentation will cover that and other information for these species, and touch on some other large animals as well. For the informational flier click here. Wednesday, October 17th in Crawford Hall Room 207 on LSSU's Campus starting at 6:30 p.m.
Find out what the Michigan legislature has been up to in regard to environmental issues, how your lawmakers vote when it comes to protecting the environment, who the Sierra Club has endorsed in your area, and what impact the 2018 election will have on clean air, water, energy and natural resources. 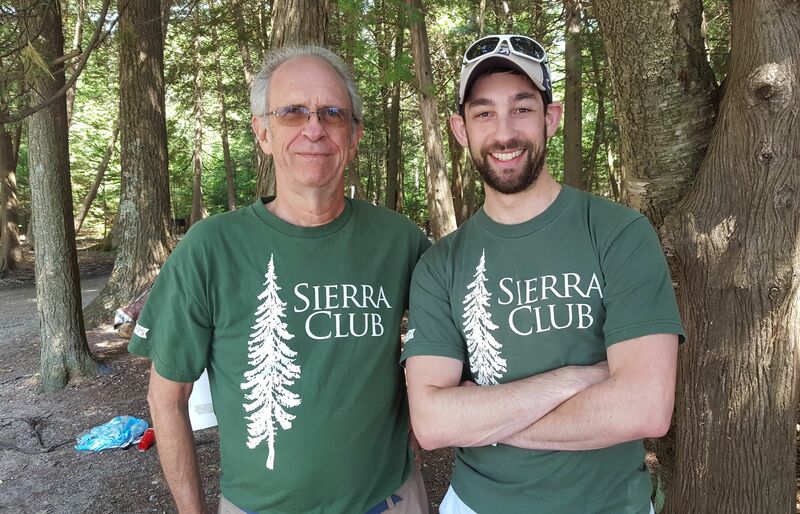 A presentation by the Sierra Club Michigan Chapter's Political Chair Richard Barron and Political Director Mike Berkowitz and Political Organizer Sarah Tresedder. For the informational flier click here. 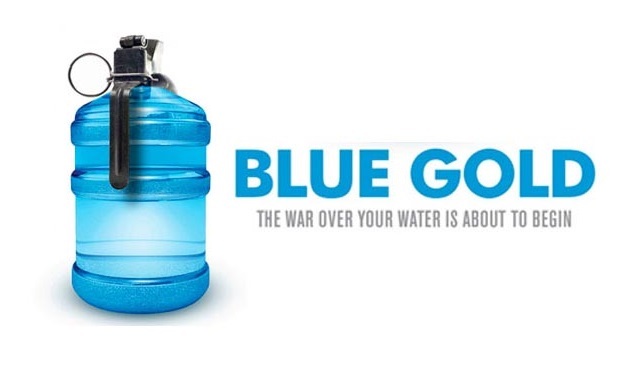 Wednesday November 21st in Crawford Hall Room 207 on LSSU's Campus starting at 6:30 p.m.
Blue Gold: World Water Wars examines environmental and political implications of the planet's dwindling water supply, and posits that wars in the future will be fought over water. The film also highlights some success stories of water activists around the world. For more detail, please go HERE. Three Lakes at 350 - Celebrate the UP! Saturday August 18th TLG and UPEC cosposnsered the 2nd Celebrate the UP! held in Sault Sainte Marie. This event was a series of informational sessions, discussing topics of local interest, presented by people who are experts in their respective fields. We covered topics like invasive species, tribal fisheries, walleye ponds, canoing, coastal restoration, etc. For more detail, please go HERE. For the detailed schedule click here. Wednesday May 2nd in Crawford Hall Room 204 on LSSU's Campus Starting at 6:00 p.m. In the boreal forest of Northern Lake Superior, silent ghosts, the gentle woodland caribou still haunt the offshore islands. But they are disappearing. Few people know, much less have seen these woodland survivors, and time may be running out on them. 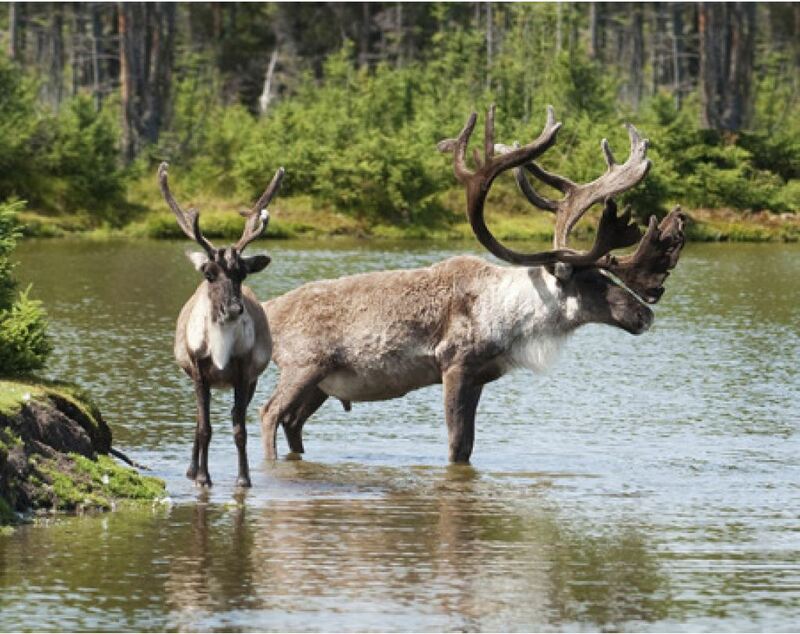 Despite centuries of habitation on the North Shore of Superior, and early habitation throughout the Lake Superior watershed, woodland caribou may be on the verge of extinction in this system. Leo Lepiano and Christian Schroeder will describe a mid-winter air lift of 15 caribou from one threatened area to a safer area. This management effort is part of an attempt by people of the Michipicoton First Nation and the Wawa area to strengthen the remaining herd. Thursday May 24th in Crawford Hall Room 207 on LSSU's Campus Starting at 6:30 p.m.
Every single day, 23 million gallons of oil pump through 64-year-old old pipelines under the largest source of surface freshwater on the planet. The Great Lakes are a delicate ecosystem and a sanctuary to over 40 million citizens who depend on them for their livelihoods, whether they realize it or not. Immiscible: The Fight Over Line 5 explores the growing tension between water activists and big oil companies. 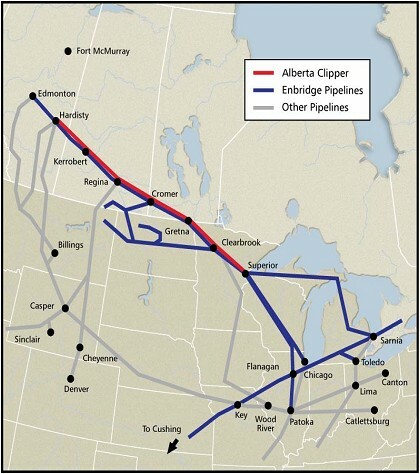 The film features interviews from leading organizations in the fight to decommission Enbridge Line 5 in the Straits of Mackinac, members of indigenous communities at risk, concerned residents, as well as Enbridge Energy’s public response to this conflict. This film was created by four Michigan State University students (Olivia Dimmer, Daniel Stephens, Austin Torres, & Annette Kim) in the College of Communication Arts & Sciences, Department of Media & Information. A discussion will follow the video. Thursday March 29th in Crawford Hall Room 207 on LSSU's Campus starting at 6:30 p.m.
Jack Talcott, chair of the Outdoor Adventure Club at LSSU. This presentation will be on how invasive mussels have been altering the Great Lakes region, what impacts this has had on the ecosystem, and what research is being conducted that might help keep the invasion at bay. Jack will also talk a bit about what the Outdoor Adventure Club is doing. 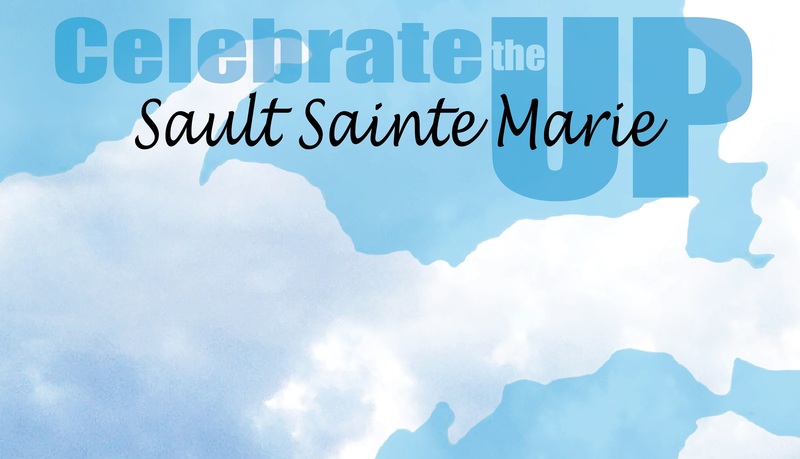 Join us on Saturday September 16th for Celebrate the UP Sault Sainte Marie! The Three Lakes Group of the Michigan Sierra Club, in cooperation with Upper Peninsula Environmental Coalition, are co-sponsoring the first ever Celebrate the UP! in Sault Sainte Marie on Saturday September 16th. Held on Lake Superior State University’s campus, there will be informational programs related to Lake Superior, the St. Mary’s River, Lake Huron; how the water shaped this region and how the region shaped the water. This event is free to the public, and hands-on activities will be offered for all ages after the day’s events. Thursday May 11th at 5:30 p.m. at LSSU in Crawford Hall Room 204 – 'Bikes vs Cars'. A film presentation cosponsored by the Three Lakes Group of the Sierra Club and Bike Friendly Soo. 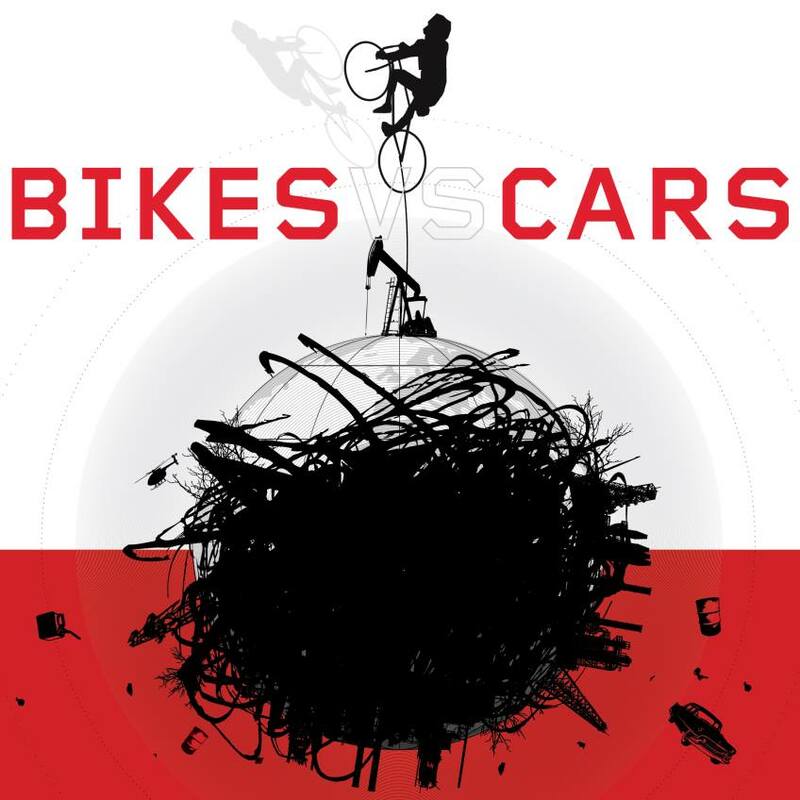 Bikes vs Cars depicts a global crisis that we all deep down know we need to talk about: climate, earth's resources, cities where the entire surface is consumed by the car. An ever-growing, dirty, noisy traffic chaos. The bike is a great tool for change, but the powerful interests who gain from the private car invest billions each year on lobbying and advertising to protect their business. In the film we meet activists and thinkers who are fighting for better cities, who refuse to stop riding despite the increasing number killed in traffic. We are working on scheduling our Spring programs for this year, once scheduled the details will be listed under the Upcoming Events tab to the right, and on our Facebook page. Stay tuned! UPEC is hosting the 2019 Celebrate the UP! March 29/30 in Marquette, see the link below for more detail. You are invited to join us in a celebration! On Friday and Saturday, March 23rd - 24th 2018 UPEC's Celebrate the UP 2018 is being held at the Michigan Tech Great Lakes Research Center on the Houghton waterfront. 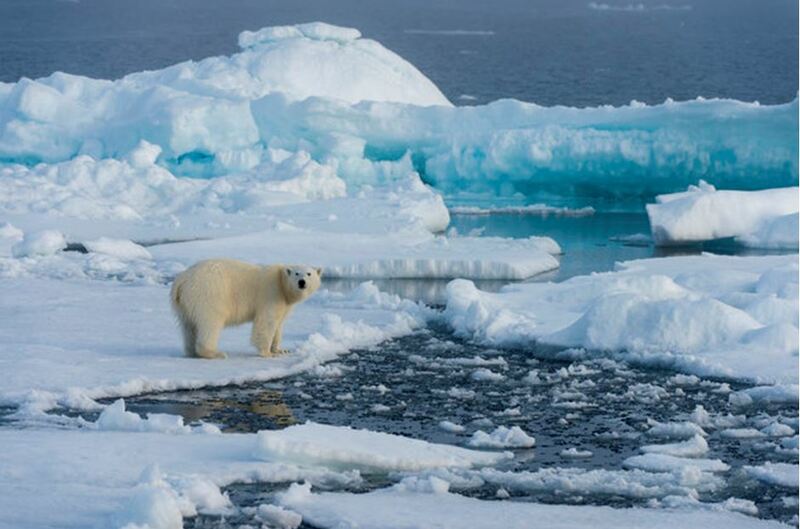 Could we even be facing an ice-free Arctic summer? The National Snow and Ice Data Center (NSIDC) hadn’ t updated its near-real time daily chart of Arctic sea ice levels in more than a month. A satel lite that monitors the ice malfunctioned, forcing the center to suspend the service. Despite the urgency to cut greenhouse gas emissions as climate change bears down on the globe, fossil fuel use is not likely to change much in the coming decades. Though renewable energy will grow quickly though 2040, gasoline and diesel will still move most of the world’s vehicles, and coal will still be the largest single source of carbon emissions. A new report published by the Post Carbon Institute concludes that Texas' Eagle Ford Shale basin, the most prolific shale oil basin in the U.S., has peaked and may have reached terminal decline status. 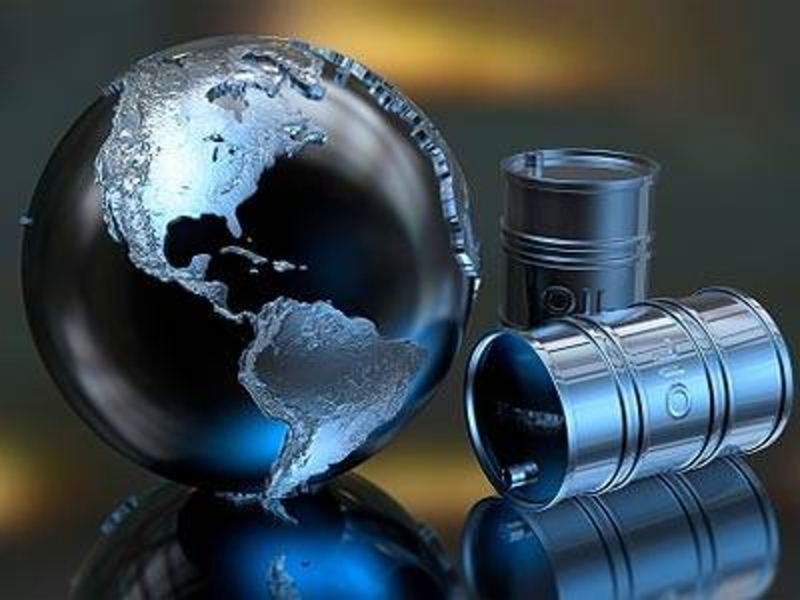 The Post Carbon report dropped just as Congress is on the verge of lifting the oil export ban for U.S.-produced crude oil, which will only further incentivize drilling and fracking. 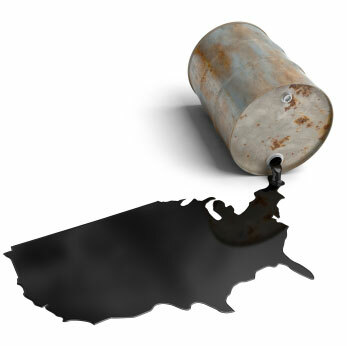 The U.S. oil production decline has begun. It is not because of decreased rig count. 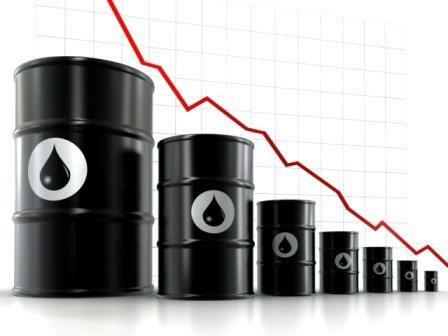 It is because cash flow at current oil prices is too low to complete most wells being drilled. The implications are profound. Production will decline by several hundred thousand of barrels per day before the effect of reduced rig count is fully seen. Unless oil prices rebound above $75 or $85 per barrel, the rig count won’t matter because there will not be enough money to complete more wells than are being completed today. 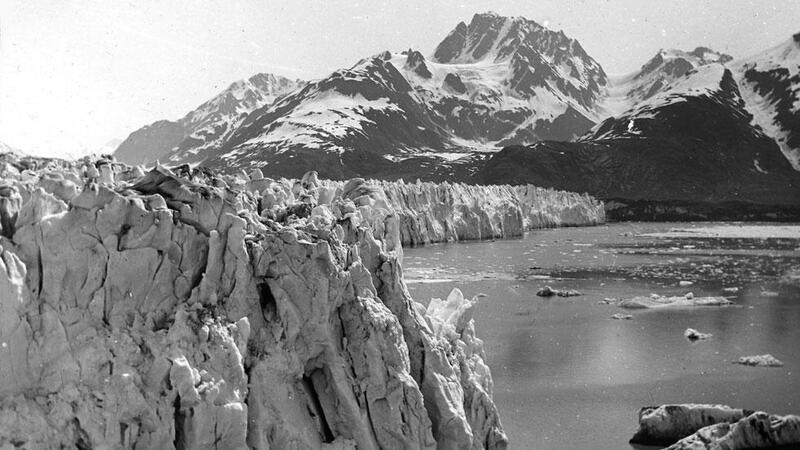 Forbe’s contributor Christopher Helman has always been an unapologetic supporter of shales. For instance, only last September he wrote a piece entitled “America’s Energy Outlook is Fracking Great, For Now”. Never mind that oil prices had begun their downward spiral three months prior to this statement. Never mind that every shale gas play in the US with the exception of the Marcellus had already tipped into decline. And never mind that reserve estimates had been repeatedly downgraded culminating with the colossal downgrade of the Monterey shale in California by 96% by EIA. You bet…fracking great! 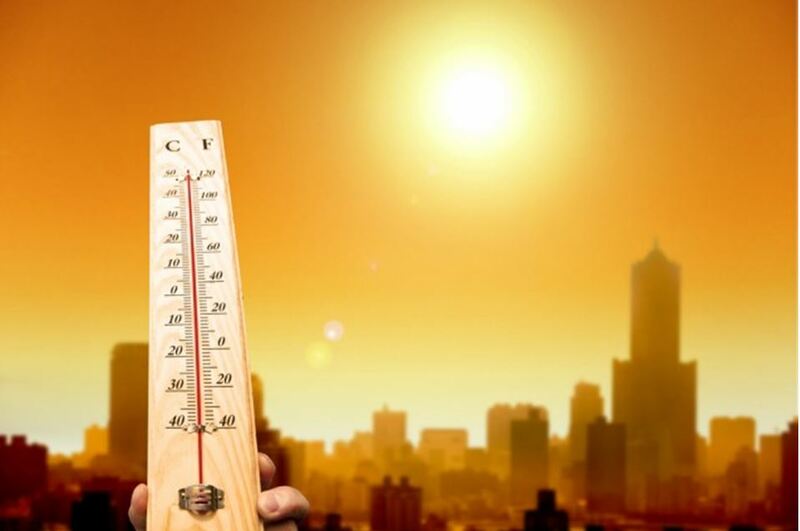 NA number of prominent American environmentalists, as well as individuals not necessarily noted as environmentalists, have stated that the best way to avoid catastrophic global warming is to switch, as quickly as possible, from fossil fuels to renewable energy sources. The list of noted individuals seeing salvation in renewable energy includes Bill McKibbon (350.org), Michael Brune (Sierra Club), Paul Krugman (economist), and Joe Romm (Climate Progress). According to Paul Krugman, not only can renewable energy sources replace fossil fuels, presumably totally, but they can do it cheaply, rapidly and with economic advantages to those countries that move in that direction. 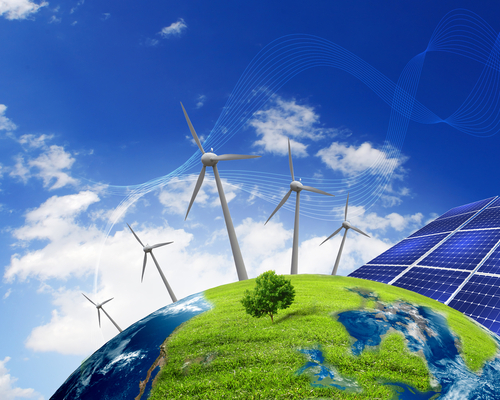 Michael Brune has written that the U.S. can be essentially free of fossil fuels by 2030, 15 years from now. Easy, cheap and fast - that’s what I call optimism. The warming rate in the central case hits a stunning 1°F per decade — Arctic warming would presumably be at least 2°F per decade. And this goes on for decades. 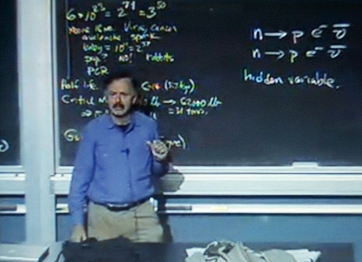 Richard Muller, Physics Professor a the University of California, Berkeley and a Faculty Senior Scientist at the Lawrence Berkeley National Laboratory, became the darling of the climate denial community a few years ago when he made a number of statements questioning the integrity of climate scientists and science. Since then, his own studies have (re)confirmed the rise in global temperature, and the cause, - human generated carbon dioxide. I find it interesting that many of the individuals expressing the greatest concerns about oil and natural gas supplies are petroleum geologists. The list includes, but is not limited to, Jean LaHerrere, Colin Campbell, Art Berman, Jeremy Leggett, David Hughes and Jeffrey Brown. 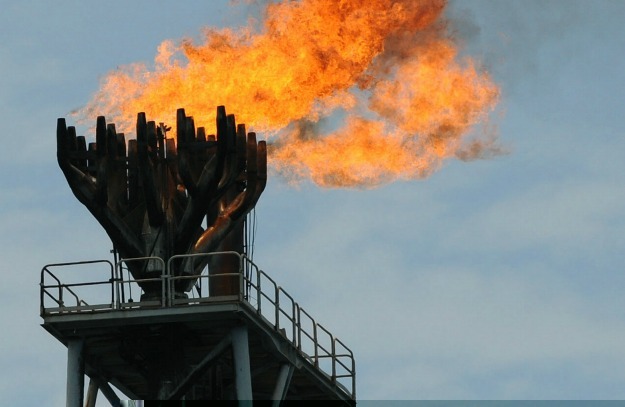 Prominent entities expressing the view that there is no problem with oil and gas supplies include media sources, politicians and bureaucrats in organizations like the U.S. Department of Energy. Is it more reasonable to expect experts in petroleum geology to give an honest assessment of petroleum resources or politicians, bureaucrats and media sources who stand to benefit from optimistic pronouncements? Based upon numerous media reports and statements by politicians you may have the impression that life couldn’t be any better for the U.S. oil and gas industry. Production is booming and oil and gas companies are rolling in dough. 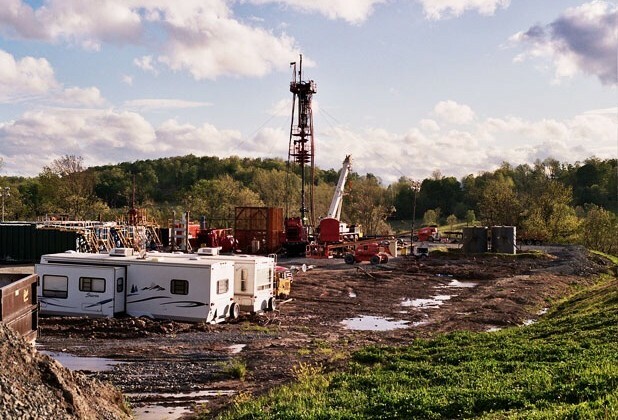 Fracking has made natural gas very cheap and will soon make oil cheap. Could it be that those reports and statements are not telling the whole story? The petroleum geologists listed above, as well as numerous recent reports that can be found on the Internet, tell a very different story. The following analysis uses “well completion information” contained in a newspaper called the Bakken Weekly, a paper covering western North Dakota. The Bakken Weekly started providing well completion information for North Dakota counties in the Bakken region in early 2012. The well completion information in the Bakken Weekly includes initial production data for approximately 50% of wells. I suspect that many wells don’t have initial production data because there was little or no initial production, although that is generally not stated. There are a few cases where either 0 b/d is given or it is stated that the well was dry, but that is rare. A fact that suggests that many of the completed wells don’t produce oil is that the sums of well completions in the Bakken Weekly increases significantly more rapidly than the number of producing wells provided by the state of North Dakota. In this analysis, I will assume that initial production was 0 b/d for wells in which initial well production data was not included. Sault Ste. Marie had an interesting weather year. The city set the yearly precipitation record, measured as liquid precipitation, in 2013 at ~48.78 inches. The previous record was 45.84 inches in 1995. After the Haiyan Typhoon, I read that 6 of the 8 most powerful tropical storms on record had occurred from 1998 to the present. That didn’t surprise me at all. In order for a Category 5 storm to maintain itself, the water column under the storm has to have a relatively high temperature at considerable depth. I’ve read that the ocean water under Haiyan was 79oF at 100 meters. The reason warm water at depth is necessary is because an intense tropical storm churns up the water extensively. If the water is cold below the surface, the cooler water, when brought to the surface, will reduce the intensity of the storm. 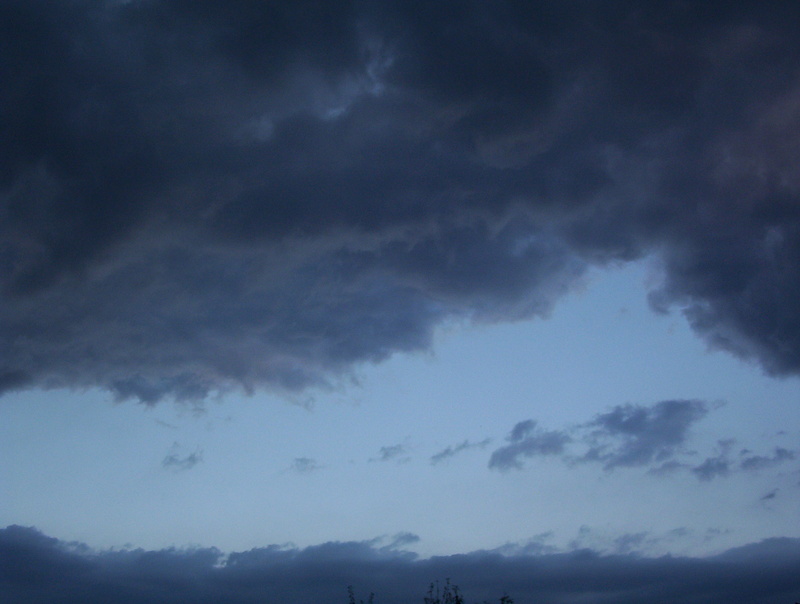 Climatologist Kevin Trenbreth and others have documented that precipitation events are becoming more intense. 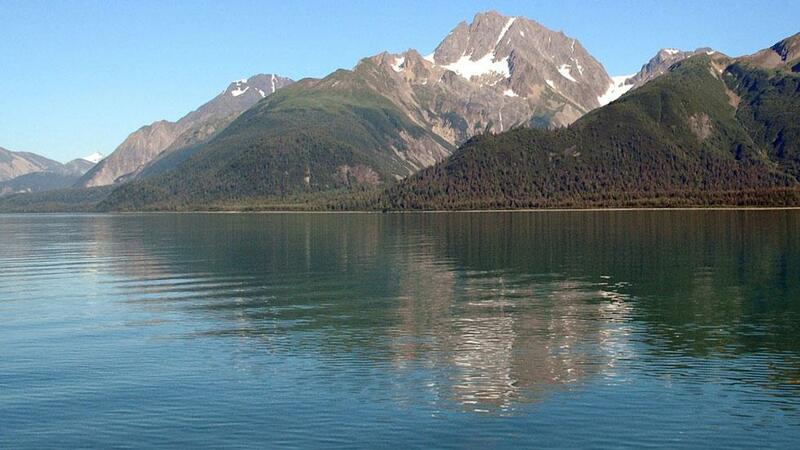 That’s to be expected in a warming world because as water warms, the rate of evaporation increases. As air warms, it can hold more water vapor. Combining the two, the result is more intense precipitation events. 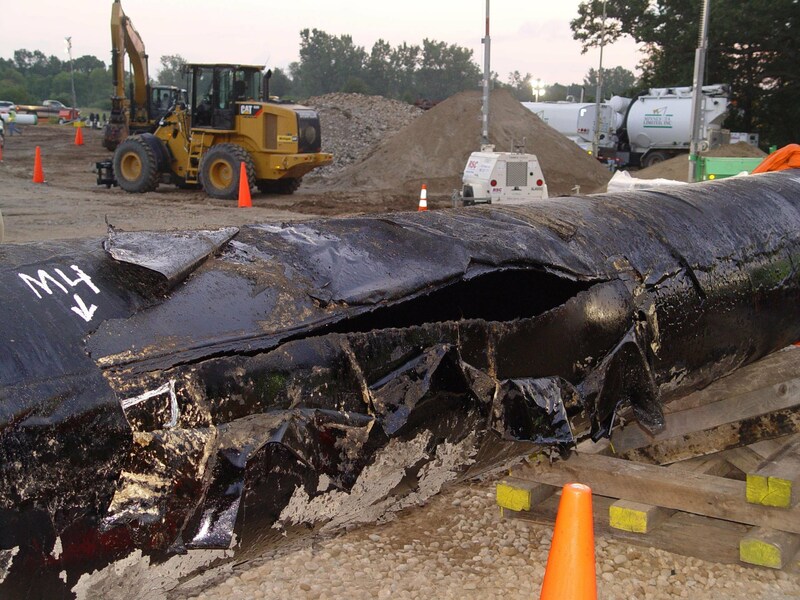 Part of the Kalamazoo River was ruined when a million gallons of poisonous tar sands oil spilled from a poorly maintained pipeline, owned and operated by Enbridge Energy. 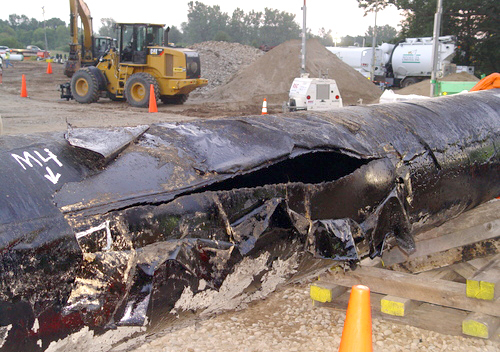 Enbridge, the company responsible for more than 800 oil spills since 1999, has also been pumping oil through two 60-year-old pipes that run through the Straits of Mackinac. 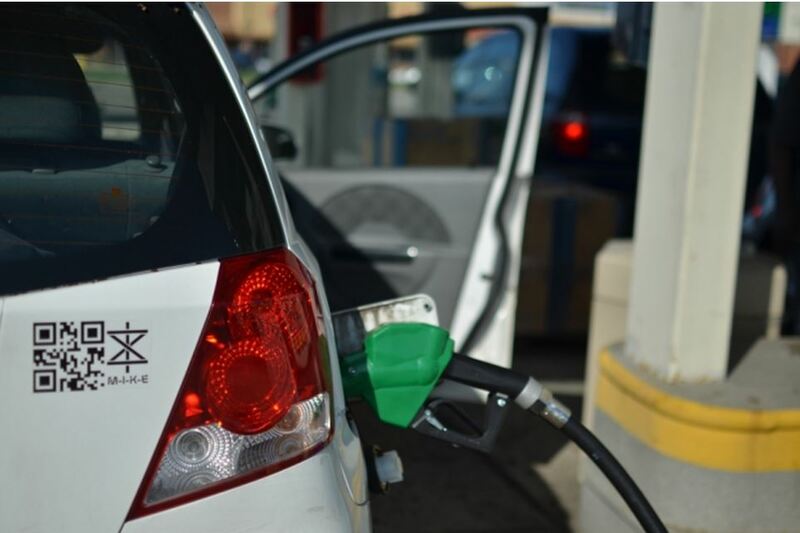 Now the company plans to increase their capacity drastically, pumping even more oil through the Straits – including the toxic and corrosive tar sands oil from Alberta, Canada. 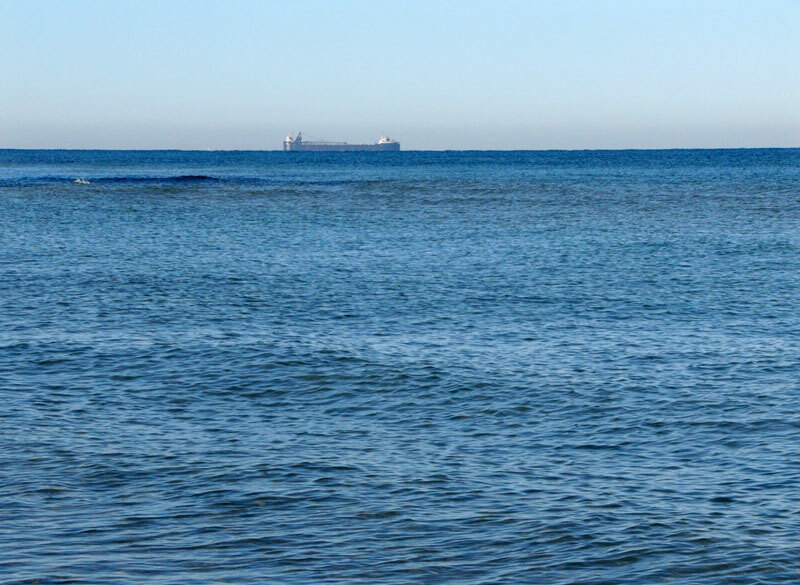 Join with Great Lakes neighbors in the shadow of the Mackinac Bridge to tell Enbridge we will not allow tar sands oil to spill into our freshwater seas! When: Sunday, July 14, 2013, Noon – Rain or Shine! 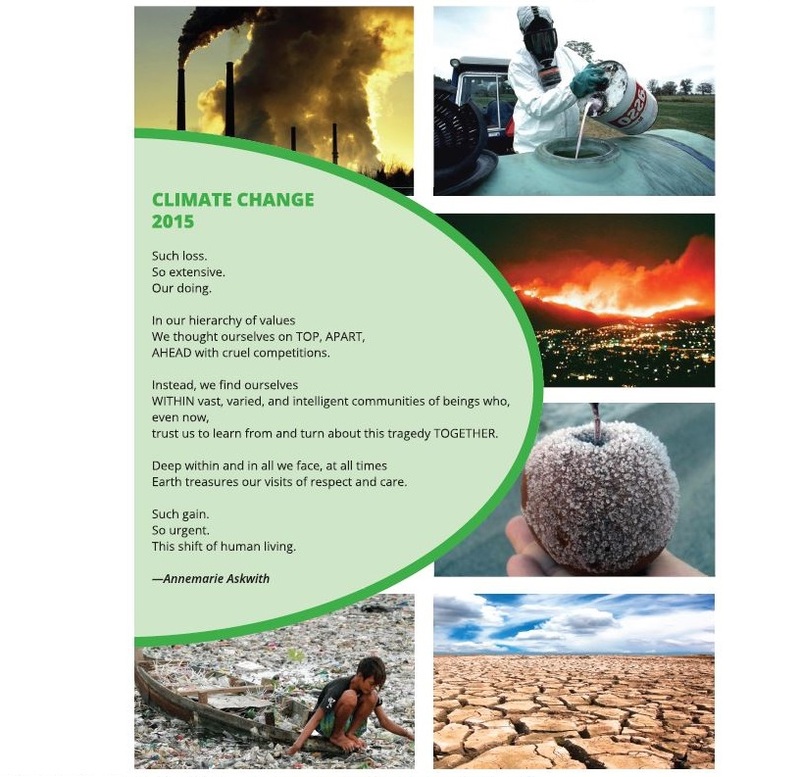 Who: Speakers include Bill McKibben, Beth Wallace (NWF), and others. Music by top Michigan artists Seth & May, Lake Effect, and many more! A lot has been made in the media about how rapidly oil production is increasing in North Dakota due to development of tight oil in the Bakken Shale region of the state. Less has been made of the rapidly increasing oil production in Texas. According to United States Department of Energy/Energy Information Administration (US DOE/EIA) data, oil production is rising faster in Texas than it is in North Dakota: a 523,000 b/d increase for Texas versus a 243,000 b/d increase for North Dakota in 2012, relative to 2011, based upon US DOE/EIA data as of 2/28/13. In Texas, most of the recent oil production increase has come from a shale formation called Eagle Ford. 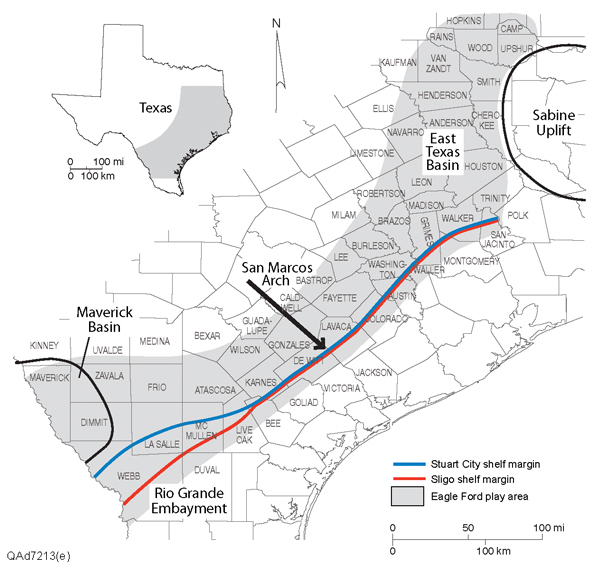 Figure 1 is a diagram showing where Eagle Ford is located within Texas.